Presently, the developing landscape of the emerging cryptocurrency and blockchain technology scene is dotted with projects targeted at ensuring the economic gains of a few people at the expense of society as a whole. For WON, crypto and blockchain technology, like the Internet can cause a paradigm shift in technological advancement as a whole if channeled to the right application. Thus, WON wants to create a comprehensive decentralized network that utilizes the technology in a way that creates benefits for all participants without any of the harmful by-products of present-day adoption cases. All of its actions will be based on guidelines developed to ensure both economic and technical motivation. Apart from pursuing an altruistic agenda, the WON project doesn’t intend to lose sight of the technical aspects of blockchain implementation. Part of this drive is the creation of actual use cases for virtual currencies. WON will encourage third-party application developers and companies to produce useful applications on its platform. On the whole, WON seeks to position itself as the panacea to the lingering issues plaguing the emerging virtual currency movement. These problems typically center around theft (hacks), unlicensed security token offers, lack of mass adoption, and wastage. The project ecosystem contains three critical stakeholders whose interactions contribute to the general community. These stakeholders are WON Inc., community users, and third-party developers (TPD). Each of these participants plays a vital role in ensuring that the project actualizes its aims and objectives. WON Inc. is responsible for setting the ball rolling by creating one billion WON tokens (Ŵ) and several other functions pertaining to running and securing the cryptocurrency. Third-party developers enter into service agreements with WON and then create useful dApps. These dApp creators can also produce their local cryptocurrency for use in the dApps – third-party Developer Coin (TPD DC). Community users refer others while also interacting with the plethora of applications on the blockchain thus expanding the project’s network effect. 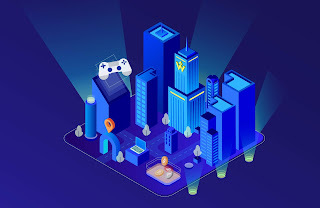 WON is both an open blockchain that can handle millions of transactions per second (WON Open Blockchain – WOB) and a platform for TPD creators to build their dApps (WON Platform). However, unlike other public blockchains, WON incorporates numerous advanced features. WOB is a Byzantine fault-tolerant proof-of-authority blockchain. It is WOB that is responsible for creating Ŵ. WOB utilizes dynamic sharding and robust know-your-customer (KYC) and anti-money laundering (AML) protocols. There are no ICOs or airdrops on the WOB. WON combines wallet and converter functionalities to allow both third-party developers and consumers to buy/sell Ŵ cryptocurrency. The platform also features top-of-the-line commercial grade APIs. Everything begins with the ‘Genesis event’ – the creation of the 1 billion Ŵ which will be owned 100 percent by WON. The project will keep a large part of all pre-mined Ŵ in cold storage and out of circulation for between one to four years. Ŵ will mainly serve as a medium for transactions among different cryptocurrencies on WON. A small amount of Ŵ will be used as incentive payments to community members. The tokens will also be used as fees for all manner of transactions on the blockchain. Users can convert all accepted cryptocurrencies to both Ŵ, as well as DC. Depending on the value of Ŵ tokens. An essential part of the WON economic model is to encourage greater utility for third-party dApps on its blockchain platform. The ‘Community Generation Event’ also creates 100 billion DC for the project’s first TPD, Topgames Inc., who’s behind the game, Evony: The King’s Return. Like with the Genesis event and Ŵ, no more DC will be created for that particular TPD after the community generation event. DC’s function like the native currency for each TPD environment. Assuming the third-party dApp is a game, players can convert DC to the one they need among themselves and purchase in-game items. Furthermore, not only the players can convert their DC to another Third-Party Developer’s DC through Ŵ which acts as a medium, but also they can withdraw unused DC to fiat in some jurisdictions. Which is believed to be a great incentive for players to top up the game they are playing. All the while, the flow of DC for each TPD is being tracked, monitoring their respective network effect. This provides a means of determining the popularity of each TPD’s application. For WON, cryptocurrency and blockchain technology is intended to offer comprehensive technical and social benefits. The project plans to carry out the WON Genesis event at the beginning of year 2019. What do you think about the WON project’s drive to promote positive value creation thereby reinventing the cryptocurrency and blockchain technology narrative? Please let us know the comment section below.